Well, NETGEAR has done it. They've built a router that is so far beyond anything preceding it -- so deliciously beefy and powerful that it requires a dedicated fan and heatsink -- and a box that feels like it's loaded with bricks. It's the R9000 Nighthawk x10 Smart WiFi Router. The following is a review of the Orbi router and satellite (RBK50). We have been having issues with a very old secondary router since moving into our 111-year old house 3 years ago. It seemed like every few days, we would have to reset the secondary router again because it lost its signal. Some days, this included multiple attempts before finally getting a stable connection. Finding something that could project through my 3 stories of lath and plaster (and cement in some areas) walls was difficult, and I’m happy to say that the Orbi stood up and accepted the challenge! Can I use the C7000 Nighthawk as just a modem/backup router? My philosophy with routers is this: Two is One. One is None. As someone who likes to tinker with open source firmware, but isn't a development expert by any means, I've learned that keeping a backup can be a good idea. Sometimes, you just need to keep the Internet up while you're TFTP'ing into the router you accidentally bricked :) It's an occupational hazard for those of us who can't resist getting under the hood of our favorite devices. Read more about Can I use the C7000 Nighthawk as just a modem/backup router? Having issues using your favorite VPN application to protect yourself online, T-Mobile US customers? Here's how to fix it. I have a long history of advocating for online privacy, and I support that by using a VPN service myself as well as encouraging others to do so. There's lots of great solutions out there -- some of my favorites are PIA (PrivateInternetAccess), VyprVPN, and Avast SecureLine. NETGEAR Nighthawk Router Wallpapers - For Serious Fans! 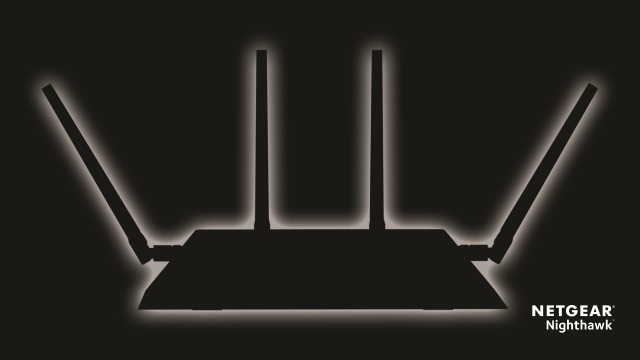 Are you a fan of the NETGEAR Nighthawk series of routers? If so, you definitely need to snag these awesome wallpapers for your tablet, desktop, or laptop. These backgrounds are in full 1920x1080 HD resolution, and represent the Nighthawk, Nighthawk X4, and Nighthawk X6! Get them in our downloads section! Read more about NETGEAR Nighthawk Router Wallpapers - For Serious Fans! Let me begin by saying we have some great developers working on NETGEAR firmware releases. I've been using Kong's and shibby's DD-WRT and Tomato builds for years on various NETGEAR models, and all have been fantastic. The latest flavor I've been using has been Kong's DD-WRT build for the NETGEAR R8000 Nighthawk, and I wanted to share my experience with it over the past few months. How to Use ReadyCloud on NETGEAR R7000 "Nighthawk"
With the latest updates to the NETGEAR R7000 "Nighthawk," a flurry of exciting new features and functionality was introduced -- not the least of which is ReadyCloud integration. I am personally a huge fan of ReadyCloud -- it recently saved the day for me, allowing me to access a PDF book for some tech studying that I had falied to copy from my ReadyNAS over to my Surface Pro 3 or my other cloud storage solutions. Read more about How to Use ReadyCloud on NETGEAR R7000 "Nighthawk"
The NETGEAR R7000, the first "Nighthawk" router on the block, made headlines at its introduction as one of the fastest -- if not THE fastest -- consumer routers on the market. It's maintained its popularity since then, especially with open source fanatics, and for good reason.